a post to remind us that we are marvellous! 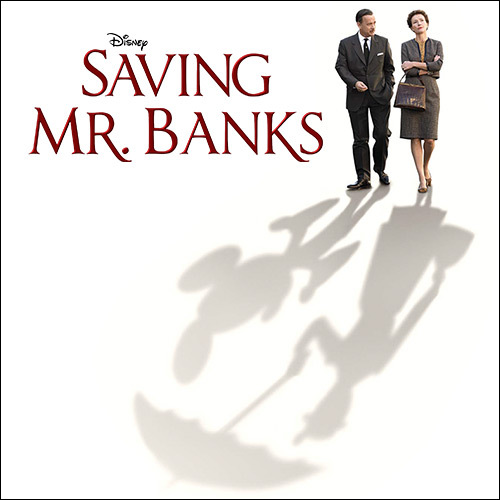 Last night at RFS I watched Saving Mr Banks. This was quite an emotional film and many afterwards admitting to welling up with tears at various places (of course … being a man i did NOT!) as the film prompted past memories that had not been fully dealt with. Seems this is an issue for many of us! The film shows very powerfully how past ‘stuff’ can influence our normal everyday backyard life. This past year, probably 18 months, I have been coming up against stuff of my past. Some of this stuff has been painful but I have encountered it, immersed myself in it, stared it face on, and stepped out of it. I’d like to say I’ve come out better, but I am not sure I am at that space yet. I think I’m close. I’m where I should be and that’s positive. Sometimes I have laughed at myself as I’ve gone down those mental paths of the past where I have had to listen to those voices that told me I am worthless and good for nothing. I’ve laughed because, actually, I have no respect for those people or voices or my past and know they talk crap. I know their words are a lie. I know those words have no authority. Other times I have frozen in fear, and found myself weeping, as I guess I start to consider some of this crap may … just may … be true. Spoken words are powerful, and no matter how resilient you are, they can have a massive effect on your self thoughts. When I worked for the Behaviour Support Service we knew that the children we worked with needed to hear a ratio of 8 positive comments to every negative comment. That sounds a lot … but why should it be? … why is that not a reality in our society? In a well informed ‘civilised’ society like ours … why is the norm negativity … when it could be so easily the complete opposite? I mean …. how difficult is it to be nice to each other, to tell each other how amazing and wonderful we are. When I am challenged in this area I tend to find support from other words. I particularly find strength from the creation story in Genesis. God creates and says ‘it is good’. God creates humanity and says ‘it is very good’. I also find strength in these words from Psalm 139 …. when feeling alone or down, the words of this Psalm kick me up the arse basically and force me to take on board the truth. Go today … be blessed in the thought that you are marvellously made! Not because I say so … but because the One who created says so! This entry was posted in film, life by robryan65. Bookmark the permalink.